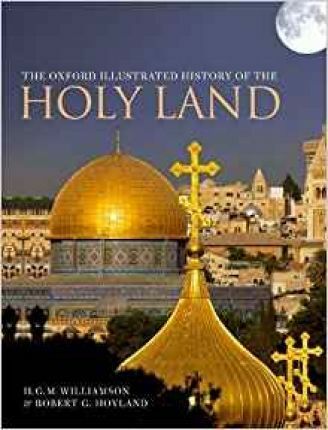 The Oxford Illustrated History of the Holy Land covers the 3,000 years which saw the rise of Judaism, Christianity, and Islam-and relates the familiar stories of the sacred texts with the fruits of modern scholarship. Beginning with the origins of the people who became the Israel of the Bible, it follows the course of the ensuing millennia down to the time when the Ottoman Empire succumbed to British and French rule at the end of the First World War. Christianity emerged from its Jewish cradle. Sensitive to the concerns of those for whom the sacred books of Judaism, Christianity, and Islam are of paramount religious authority, the authors all try sympathetically to show how historical information from other sources, as well as scholarly study of the texts themselves, enriches our understanding of the history of the region and its prominent position in the world's cultural and intellectual history. Robert G. Hoyland is Professor of Late Antique and Early Islamic Middle Eastern History at New York University's Institute for the Study of the Ancient World. His books inclide Arabia and the Arabs (Routledge, 2001) and In God's Path (OUP, 2015). He has embarked upon the excavation of the city of Partavi/Barda'a in modern Azerbaijan. H. G. M. Williamson was until recently Regius Professor of Hebrew at Oxford University. His expertise in the texts of the Old Testament is complemented by his active participation in the archaeology of the Biblical period in the Holy Land.